Heat pumps are called that because it is used in winter to bring heat into your home. The wonderful thing about a heat pump though, is the fact that it can be used in summer to do the opposite. This means that it can also be used to cool your home. You therefore would be better off with a heat pump than with an air conditioner as the heat pump services you throughout the year. By using gas heat pumps you would use clean burning natural gas or propane and it would therefore be more environmentally friendly. It is inevitable that you would need to have an efficient heating system if you live in a very cold area. The installation of gas heat pumps is a significant step toward a green lifestyle. It would also serve you much better than the conventional heating systems. More and more countries are also offering rebates on the use of these pumps. What are Gas Heat Pumps? These are pumps that is used to heat buildings and homes. The main emphasis here is the fact that the gas heat pumps work differently to the other heat pumps. The reason for this is that they do not use electricity and as a result do not need to use Freon based refrigerants. These pumps could use more environmentally friendly absorption liquids like ammonia and water to perform its task. It is therefore a great asset to the environmentally friendly persons. A gas burner utilizes absorption liquids of water-ammonia solution instead of Freon as opposed to the use of an electric compressor. The Freon based refrigerants are harmful to the environment. The gas pump uses a gas or propane flame to heat the water-ammonia solution which is contained in a closed circuit through which it flows. The solution is heated, evaporates and in the process, heat is extracted from the vapor. The vapor is then pulled into an evaporator by a low pressure. This then moves heat from the outside to the inside and in this way heats the room or rooms required. Once the process is complete, the cycle starts again. This is also the reason why the gas heat pumps are also known as gas absorption heat pumps. Gas heat pumps use either clean burning natural gas or propane to run the heat absorption and transfer process. The significant difference between the normal heat pump and the gas heat pump is that the normal heat pump pulls air from one environment that is warm and propels it to the area you want it to go. You often have to use auxiliary means of heating especially. One of the reasons why you would want to purchase and install a gas heat pump is that it offers better efficiency in the long-run. The efficiency rating of these pumps is measured by the Gas Utilization Efficiency (GUI). This is when the energy it supplies is place in ratio to the energy that the burner consumes. This will therefore depend on the type of pump you purchase, whether it would be as efficient as you require it to be. The most important aspect here is that it is an effective way of heating or cooling down your residence. The normal pumps would need auxiliary heating at some point, especially if you live in a much colder part of the country. This heating system will give you a more consistent service. Many air source heat pumps have difficulty maintaining heat during days when the temperature dips below 23oF. It is therefore a much better option to opt for the gas heat pump. It would also not need a compressor which would need to be fixed or replaced at some point. Its cost might be a more affordable alternative to the standard heat pump. It would shave off some of the cost on your electricity bill as you would be using natural or propane gas (which unfortunately can be expensive in some areas, though). It is more environmentally friendly though, as it does not use refrigerants. These pumps are easy to install and do not use a compressor which might need replacement or reparation, in the future. A major advantage is that you do not have to purchase a heater and an air conditioner as this product will serve both purposes. These types of heat pumps can heat and cool structures larger than 4000 square feet, which is a great advantage for any home. You would not need to use a secondary heater, if you install a complete gas heat pump. As mentioned before it is a cleaner unit in that it uses natural or propane gas that is clean burning. A gas heat pump does not use any refrigerants that would deplete the ozone layer. 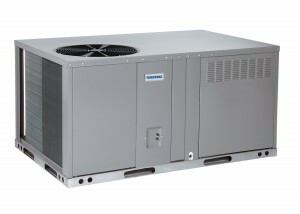 This is one type of heat pump that could be installed outdoors and do not need a special room in which to be place it. There is virtually no noise emitted from it and is also maintenance-free (since it does not have a compressor and filters). The importance of considering the purchasing of a heat pump is that you can have both heat and cold depending on where you are in the seasons. There is also the much needed contribution you could have to add to prevent further depletion of the ozone layer. The choice of gas heat pumps by more and more people is an important step toward building a greener environment. This is especially in the light of the way in which the pumps operate. One other issue is the heat size capacity of these heat pumps, which is meant for structures larger than 4000 square feet, as mentioned. However, great strides are being made to provide the average household with gas heat pumps for its purposes.